Jubril Enakele is the current Managing Director and Chief Executive Officer of Zenith Capital Limited. Prior to joining Zenith Capital Limited as CEO in May, 2015, he was Director of Corporate Finance and Client Coverage for sub-Sahara (excluding South Africa) at Deutsche Bank AG, London where he was responsible for originating Capital Markets (debt and equity), Fixed Income and Derivatives transactions, and providing coverage and origination support to other products groups including M&A, Structured Finance etc in the region. Before his time at Deutsche Bank he worked for Standard Bank (London), Citibank N.A. / Citigroup Global Markets (London and Lagos), Zenith Bank Plc (Lagos) and Prudent Bank (now Skye Bank Plc) respectively. 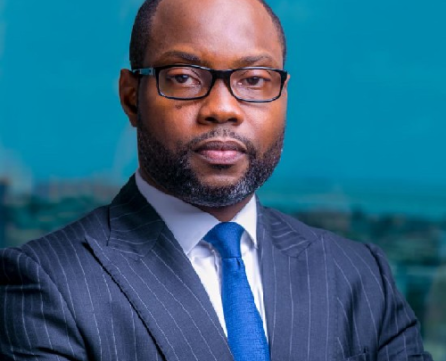 Over the course of his career, Mr. Enakele has acquired over 15 years of diverse expertise in various aspects of Banking and Markets including Operations, Credit Analysis, Risk Management, Client Relationship Management, Investment Banking, Corporate Finance and Derivatives across sub-Saharan Africa. Jubril is an alumnus of Said Business School, University of Oxford. He is also an alumnus of London Business School, University College London and University of Calabar, Nigeria. He holds memberships of the Financial Reporting Council of Nigeria (FRC), Nigerian Institute of Management and Institute of Credit Administration of Nigeria respectively. He is also an Associate Member of the Chartered Institute for Securities and Investment (ACSI), UK and is approved by the Financial Conduct Authority UK (FCA). He is the founder of Professionals for Africa (PfA) in London, a network of 1200 members which provides a platform for collaboration amongst successful individuals across multiple industries.